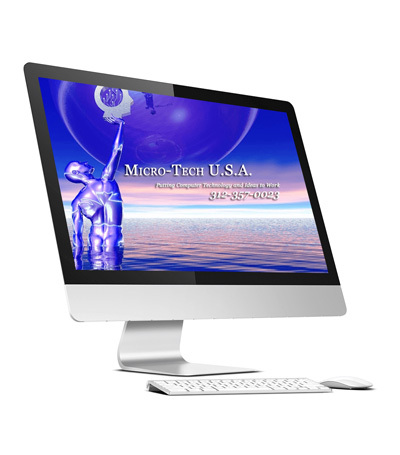 Micro-Tech U.S.A. has been providing technology services since 1989. We have not only grown through the tech bubble of the 1990’s but used it to advance towards Cloud Computing. With these experiences and expertise, Micro-Tech U.S.A. helps its clients navigate new and disruptive technologies, and help them create a road map to success. Micro-Tech U.S.A. believes that placing clients above all is what builds and creates the strongest partnership. Our focus is to advance partnerships beyond just IT Support. Our motto is “Making Technology Simple.” Technology should not get in the way of a business’ goals, it should empower the business to be more agile and competitive. Micro-Tech U.S.A.’s vendor autonomous approach allows us to focus on our client’s needs instead of the vendor with the highest margins. This is a trap that far too many technology companies fall into. Micro-Tech U.S.A. offers a full suite of IT services, provides clients with a true partnership, and a dependable, empowering, and forward thinking extension of their business. Paul Stieber, IT Manager, C4. Micro-Tech USA is a leader in security and risk management. Our Cloud Computing Services Are Secure, Cost-effective and Scalable. Speak to a real person at our Live Help Desk seven days a week. We can help you open up new doors of communications. Micro-Tech USA is a leader in security and risk management. Our security and compliance personnel are expertly trained in network security, information security, cloud security, and compliance standards. We stay on up-to-date on current threats and the latest IT trends, such as bring your own device (BYOD). Today, IT infrastructure is as diverse as every business that uses it. Keeping an expert on staff for every contingency isn’t always financially viable. Our staff provides the solution. We offer security and compliance solutions that are tailored to your unique needs. We offer unprecedented reliability and accessibility to your data and software. Staffed with expert technicians and engineers, Micro-Tech USA will help to find the best cloud-based setup for your organization today, and we keep you ready for the growth of tomorrow. Technical issues are frustrating for you and your staff. You need someone to get your users up and running as soon as possible. Someone who takes their problems seriously. When they call the help desk, they want someone who is courteous – and, more importantly, competent – available to fix their issue. That someone is us. Speak to a real person at our Live Help Desk seven days a week. Micro-Tech USA’s Live Help Desk combines the expertise and swiftness of an in-house IT staff with the convenience and affordability of a managed services plan. Our knowledgeable technicians can help solve technical problems both big and small for all of the employees in your organization. We’ll provide exemplary customer service and have them back to being productive in no time. VoIP/Unified Communications VoIP is the usage of voice over internet protocol (IP), freeing you from carrier contracts while increasing features by leveraging the cloud. These additional features include voicemail to email, the ability to use your mobile phone as your business phone, and intelligent auto attendants that can route calls. Unified Communications expands VoIP to include corporate instant messaging and video conferencing. With this technology, we can offer you the benefits of presenting corporate webinars and sharing screens with staff and customers outside the company. You can work from literally anywhere. We can help you open up new doors of communications and collaborate like never before. Let our security architects evaluate your security needs and create an authentication and security strategy that is tailored to your business needs and industry best practices. We can consult on upgrades and if you’d prefer, we can implement the changes for you. Micro-Tech USA’s security experts know how to test against and prepare for cyber threats and data breaches. We can assess your current security procedures, uncover vulnerabilities, and advise and implement improved processes. We have compliance experts who can assist with compliance design, compliance documentation, compliance audits, and remediation steps. Our staff specializes in HIPAA compliance. Micro-Tech USA is committed to helping our clients protect themselves and their customers by testing and designing security protocols that work. Whether you are in the early stages of planning a new security and compliance strategy, or need a third-party auditor to provide feedback on your current setup, we are confident that our experts can help you. Call us today at 312-357-0023. We help companies adopt a public cloud infrastructure. From deciding which cloud configuration is best for your specific business needs through planning and implementation, our experts can do it all. This premium service provides your organization its own hardware and software outside of the shared resources of the public cloud. Private cloud has all the benefits of your own off-site data center, with the added advantage of us doing all the heavy lifting. This custom IT solution combines the advantages of both private and public cloud, tailored to fit your business needs. Data storage and management solutions are housed on our secure servers and accessible to you 24/7 over the internet. Store and maintain business-critical data and records as a backup to be restored quickly in our data center to get back online in the event of a disaster. We are dedicated to creating the right service package for each of our clients. Speak with one of our cloud computing experts today by calling 312-357-0023 to discover which cloud solution is right for your organization. Unlimited access to our competent and friendly IT staff members who are standing by to help with everything from email signatures to error messages. We have certified engineers with years of experience upgrading, troubleshooting, and maintaining virtual and physical servers. From hardware issues to software issues, our engineers and technicians have you covered. Downtime is expensive. Network issues can immobilize an entire workforce. Network certified technicians and engineers could be just a phone call away. We know how busy you are, and how vital your role is. Skip the tier one and tier two levels, and get a qualified engineer on the phone immediately. Compiling a properly trained in-house help desk staff can be very expensive. Most companies don’t have the budget to have an expert in all of the areas that are required. Micro-Tech USA can provide the technical support needed for the most complex infrastructures while still cutting costs. We can keep your workforce up and running and satisfied with the attention they’ve received from our helpful staff. Call us at 312-357-0023 to discuss how we can help you. We have compliance experts who can assist with compliance design, compliance documentation, compliance audits, and remediation steps. Our staff specializes in HIPAA compliance. Micro-Tech USA is committed to helping our clients protect themselves and their customers by testing and designing security protocols that work. Whether you are in the early stages of planning a new security and compliance strategy, or need a third-party auditor to provide feedback on your current setup, we are confident that our experts can help you. Call us today at 312-357-0023. Running a business is difficult, let us take care of the technology so you can make your company what you dreamt it to be. 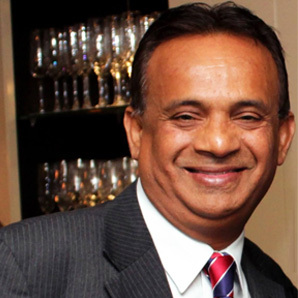 Mike Gillani founded Micro-Tech U.S.A. 26 years ago and has been its President and CEO as well as its Senior Consultant since its inception. Over the past two and a half decades, Mike has grown Micro-Tech U.S.A. from a computer hardware provider to one of the country's premier Cloud-Centric Technology Providers. Mike's focus is on identifying key areas of improvement and resolutions in clients' infrastructures and finding ways to increase efficiency and reduce operating expenses. 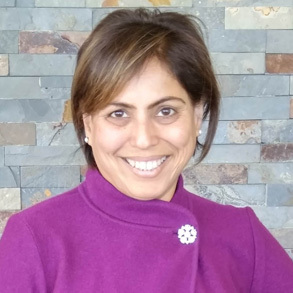 Minaz Gillani has served as Micro-Tech U.S.A.'s Chief Financial Officer for 14 years and has been a part of the team in other aspects prior. Her main responsibilities are contract development and finance management. Along with her formal responsibilities, Minaz played a key role in transforming Micro-Tech U.S.A. into the Cloud-First company it is today by developing streamlined business processes and financial models. 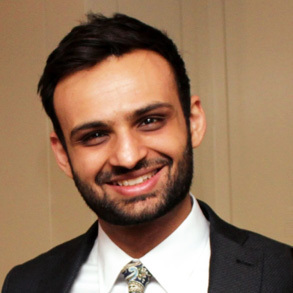 Ethan Gillani, focuses in Micro-Tech U.S.A.'s technology strategy and client technology integration. He also architected Micro-Tech U.S.A.'s datacenter and oversees technology implementation and design for onboarded clients. Ethan has 7 years of experience in Technology Consulting, a CCNA - Routing and Switching, MCSE Communication, and a Bachelor's Degree in Communication Studies from Northwestern University.